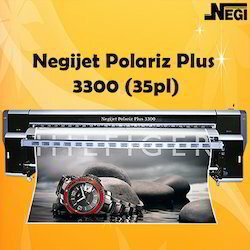 Negi Sign Systems & Supplies Co. is the Pioneer Company to start Flex Printing Machine Sales in India in the year 1995. NSSSC started its own Factory "Negi Digital" for assembling and Manufacturing Large format Flex and Textile Printers in India in the year 2008. Negijet Polariz 3300, Negijet Konica 3300, and Negijet PJ 2214 have earned great recognition in Sign makers using it for various Outdoor Applications be it Hoardings, Bus Shelter Brandings, Bus Branding, Outdoor Signboards. Wit-Color Ultra Star Printer range offers High Quality and High Performance for your requirements of Outdoor Signagebe it Hoardings, Bus Shelters, Bus Wraps, Glowsign Boards and many more applications effortlessly. 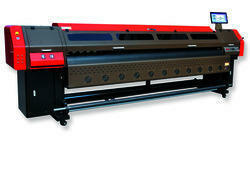 Carbon Fiber Drying System ensures the print media is completly and evenly dry with less power Consumption. Spectra Starﬁre 1024 Print Heads (2 heads / 4 heads.) with 4 Color Inks CMYK. Negative pressure system for smooth and stable Ink supply for long production jobs. Negi Sign Systems & Supplies Co. is the Pioneer Company to start Flex Printing Machine Sales in India in the year 1995.NSSSC started its own Factory "Negi Digital" for assembling and Manufacturing Large format Flex and Textile Printers in India in the year 2008. 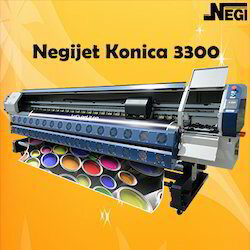 Negijet Konika-3300 is developed by Negi Digital for providing best quality Flex Printing in long run based on its experience in Signage Industry. 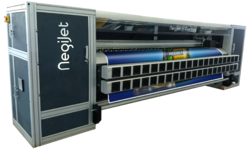 NegiJet Konica is a high speed solvent printer with Konica Print Heads (512 & 1024 nozzles) This printer is suitable for printing posters, banners, billboards, glow signage's, hoardings etc.